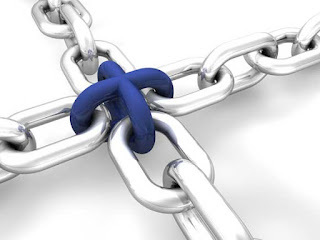 Link building is the most important factor in off page SEO and search engines still gave importance to backlinks. Backlinks are actually considered as votes and if your blog has more backlinks from high page-rank sites than your blog will also get higher rank. But building backlinks is not as easy as it seems specially from high ranking and reputable sites. There are two ways to get Backlinks, one is natural way in which websites and people links towards your site because they like your content and other is by mutual understanding in which websites mutually exchange link or buy and selling of links. Search engines often like natural backlinks and below we take a look on how to avoid link building mistakes while building backlinks. 1. Check if backlinks have a noFollow attribute. One of the biggest mistake most bloggers do while building backlinks is building noFollow backlinks which are useless. NoFollow is a link attribute which is used by many websites to tell search engines that do not follow this link. Which means that if you have 100 noFollow backlinks from 100 websites you will get zero backlink. noFollow attribute will not pass away link juice of the linking website so you will not get benefit. Hence its very important to check if link building site is doFollow or not. After Google Panda update is the worst ever possible thing you can do to destroy your blog reputation. One of my friend was selling links on his website and at this page rank update Google has dropped his site from Page-rank 2 to Page-rank 0. Also his site traffic goes down 80% which clearly shows how bad thing it is. Also if you buy links from other websites chances are that they put noFollow tag after some time or totally remove link from there site. Now this will surly damage your blog reputation in the eyes of search engines. If a thief provide your name in jail while investigating than guess what police will also arrest you because that persons credibility was bad and he recommends you which means that you are also a bad person. Same is the case in getting backlinks from bad reputation sites. Also never link back to a bad reputation site from your blog. Bad reputation sites include Spam, auto blogging, Duplicate content, hate content, or with illegal content. 4. Lots of links from low Pagerank sites. This is the most common mistake blogger do and they don’t know that in future they have to pay for it. Lots of low Page-rank links are considered as spam in search engines book because these links are easy to get and low rank sites doesn’t care which sites they are linking. I have seem many Pagerank 4 websites with only 50 backlinks and Pagerank 2 or less websites with over 1000 backlinks. So these links are not going to help you achieving your goal, its better to stay away from these websites. Its a total waste of time and money if you are getting backlinks from irrelevant niche sites. Suppose if a doctor recommends you to a mechanic about your car engines problem what will you do. Its better to take advise from another mechanic rather than doctor. So if a Football niche site is recommending your blog which is all about car parts than how will search engines pay attention to these links. No matter how high-rank the backlink site is if its from irrelevant topic site than its useless for you. 6. Good quality links but useless anchor texts. Now some bloggers feel happy when some high rank website backlink to there blogs but with useless anchor texts like with your name etc. When search engines crawl the higher rank website they will find your link on that site and they will increase your blog credibility according to that keyword. 7. Links without Targeted keywords in Anchor text. Some times it happens that you do everything right but at the end not putting targeted keywords or keywords which are really important for your blog. You have to understand your blog will not rank higher for all keywords you want. So its better to put high priority keywords all the time rather than you try with different keywords. 8. Getting an banner link without alt tag. Its good practice to always create backlinks via text links which are more SEO friendly and easily indexed by search engines but if some how text link is not available than banner link is also a good choice. But keep in mind that without alt tag in your banner link this backlink is useless because search engines don’t understand or read images. Never ever try to use some kind of automated link building software like SenukeX because these software’s will create hundreds and thousands of backlinks in no time and search engines will easily detect these links and mark your blog as spam blog. Also is better to start creating backlinks for your site after some months because i have many bloggers who start backlinks even there blog has only 2 or 3 posts. Its better to wait at-least 3 months and than start creating backlinks slowly. 10. Links from pages spiders can’t crawl. You have done all the things right like your backlink is Dofollow, it contain all the important keywords, its from the high reputation and high Page-rank site and it looks perfectly all right. But what if the owner of the website has stopped that particular page being indexed by search engine spiders. You will even not get a backlink so its very important to check that backlink page is totally accessible by search engine spiders.